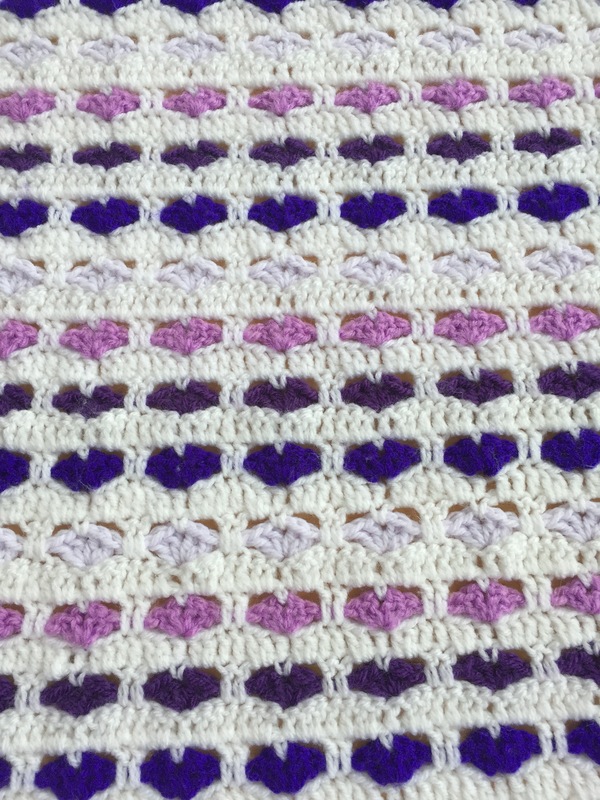 Hearts on Fibre: Not entirely un-productive! 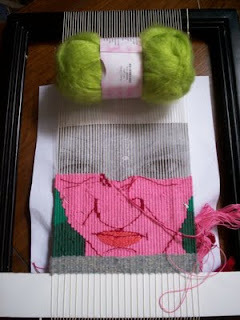 Just want to pop in while baby is napping and drop off a few pictures of my latest projects. I HAVE been up to something more than catering to William's every whim, but it's sporadic at best. Mum/Bebe hats made with 100% hand spun (by yours truly) alpaca yarn that I dyed with cherry kool-aid and then knit up on circular needles. I knit 8 rows, then purled 8 rows etc to get the Bebe hat to be slouchy. The Mum hat is done similarly, except the purl sections are actually k/p alternations instead of all purl (so the hat isn't slouchy--just textured ribs). 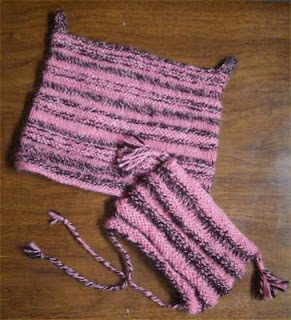 I cast off straight across the tops and knit little horns on the mum hat and put little tassels on the Bebe hat. 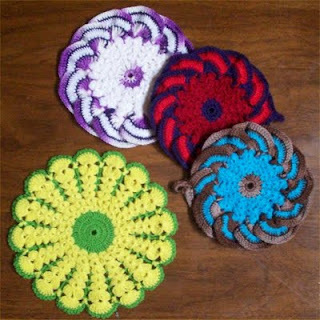 These potholders are done with crochet cotton. I copied them from a set of potholders that Grandma bought at Value Village. I wrote the patterns down. :) Those are actually ruffles on those three to the right. I apologize for the blurry photos guys. We still don't have the extra cash for my fancy camera. 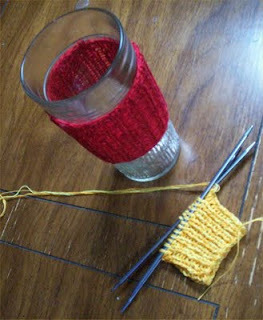 I have these Kerr glasses that I recently discovered can hold my hot bevvy's, but being as there are no handles, I decided to knit these little ribbed sleeves for them. I have six glasses, so I will do the primary and secondary colours. 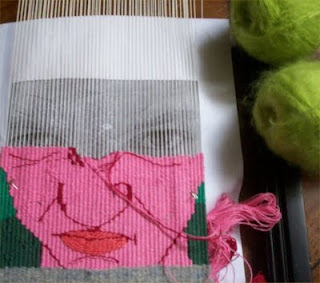 And finally, these are shots of my current tapestry in progress. It is the second installment in my "True Colours" series. 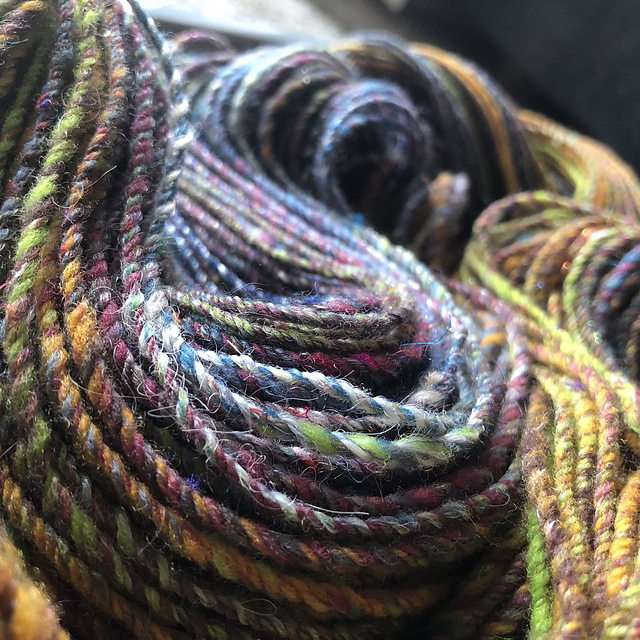 That slime green mohair you see is destined to replace the glowing whites of my eyes, in what I hope will be a very toxic final product. Detail...or as close to one as my awful camera will let me get. I like the look of the new tapestry so far! Very exciting! I've been meaning to make some crocheted cup sleeves myself. And I keep not doing it on account of I'm really lazy. I like them! And Tiffy was over for tea yesterday and she said she thought they were a neat idea. My mother said "What on earth do you need cup sleeves for?...But why??"